The mission of project CARE (Community Animal Retention Effort) is to provide support for pet owners with the goal of helping owners retain their pets during times of hardship. The project CARE target area began as a small, one-square-mile block that was identified as the highest animal intake area for both the Cleveland APL and Cleveland City Kennel through GIS mapping data. The data was collected from 2011-2012 by Cleveland APL staff, Cleveland Kennel staff, and the ASPCA®. 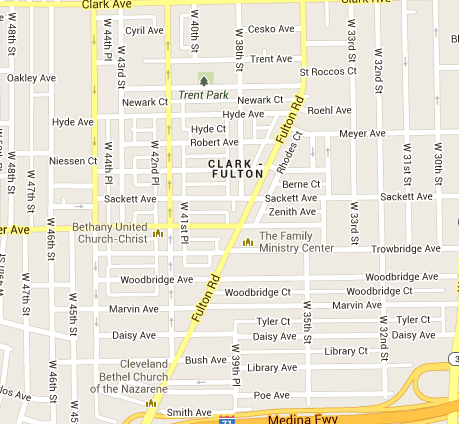 This target area was located within portions of Cleveland’s Clark Fulton and Brooklyn Centre neighborhoods in Ward 14. In 2015, the area was expanded to include all residents living the 44109 and 44102 zip codes as these continue to be the areas with the highest intake at the Cleveland APL. Project CARE’s outreach team takes a grassroots, door-to-door approach with a primary focus on building individual relationships with individual pet owners within the identified zip codes. Services currently offered to project CARE area residents include low cost spay/neuter (resources are provided to pet owners living outside the target area), one time emergency medical assistance through our Peticaid program (restrictions apply), low-cost flea treatment/preventative, counseling help with behavioral and medical needs and general care guidance, resource referrals to other programs, and dog/cat food on an emergency, as needed basis. If you are interested in learning more about project CARE or becoming a volunteer for the program, please contact Program Coordinator Joy Butch via e-mail [email protected] or call 216-255-5012.